Driving with a suspended license is a crime in New York. It is codified under Vehicle Traffic Law 511. The law is called Aggravated Unlicensed Operation of a Motor Vehicle or “AUO” for short. About our Firm: Our Southeast criminal defense law firm is lead by a former prosecutor. We have defended thousands of drivers around New York and gained a reputation as superb lawyers. We have been recognized by our peers as some of the finest attorneys in the State and we work hard to fight for each of our clients. Depending on the severity of the charge, a driver can be charged with either a misdemeanor or a felony. In general, misdemeanors are classified as a charge where a person can be sentenced with up to one year in jail. Felonies are classified as a charge where a person with more than one year in jail. With respect to AUO misdemeanors, the maximum sentence on a misdemeanor is up to six months in jail. In addition to jail, a court can also sentence a driver to a term of probation, a fine, or a conditional discharge. When a driver is charged with AUO, they should stop driving until their privilege to drive is restored. If the driver continues to operate a motor vehicle, they can be arrested and given additional charges. The process of restoring a privilege to drive can be cumbersome. Anyone facing these charges should contact the department of motor vehicles to ascertain the reason why their license is suspended. Once that information is obtained, they should contact the court where the suspension is derived and ascertain their protocols for lifting a suspension. Southeast is a town located in Putnam County. It is located at 1360 NYS Route 22 in Brewster. It is a court of local jurisdiction and employs two part time judges. These judges can preside over, with some exceptions, civil, criminal and traffic cases. Criminal charges are prosecuted by the Putnam County District Attorney’s Office. The District Attorney has the power to prosecute all criminal charges under New York State law. The Court maintains a small parking lot located on the side of the building. We recommend that court attendees arrive early to court to secure a parking spot. The court is handicapped accessible. The courthouse is secured by court security. These officers require every visitor to court to pass through a magnetometer. Anyone possessing an electronic device will be advised to either turn it off or to leave it in their car. Anyone possessing food or drinks will be asked to dispose of it prior to entering the court. The court is a place of respect and litigants are recommended to dress accordingly. Litigants should dress neatly and speak to all court personnel with dignity and respect. 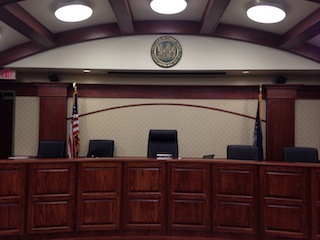 Court proceedings can take several hours and anyone attending court should plan their day accordingly. If a person is facing a criminal charge it is unlikely that a defendant will be given a special dispensation due to time constraints attending court. If you are facing a criminal charge, AUO, or UPM in Southeast, give our lawyers a call at 914-723-7900 to learn how we can help.